Utilizing a budgeting system consisting of numerous Excel spreadsheets, Access databases, and an outdated legacy budgeting system, Martin Guitar wanted to move forward with a system that consolidated these multiple sources of data into one simple to maintain package. In addition to the multiple systems, Martin Guitar knew they should streamline and optimize their corporate budgeting processes to effectively support their continued growth. This included integrating their sales forecast by product SKU into the budget process, moving away from a complicated employee benefits Excel file to a driver based personnel module, and the ability to have increased visibility into budget centers and costs for financial performance monitoring and reporting. Significantly decreased the time span related to the budgeting process by integrating all necessary elements into an all-in-one budgeting system, which includes budgeting for capital projects and assets, revenue and cost planning, personnel budgeting, discretionary budgeting and financial reporting. Unified business rules into one centralized database, making calculations fast and reliable. Enabled self-service reporting and analysis, where end users can perform drill-down and drill-through functions to answer their specific questions rather than rely on the finance department to clarify results and calculations. Enhanced visibility and ease of identifying budget variances, allowing for more time to be spent on the analysis “why”, rather than “what” or “where”. System users can also now develop custom reports, dashboards and processes without relying on contractor or IT support. 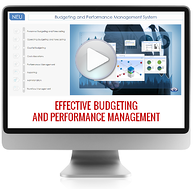 The new system allows for a centralized budgeting system that drastically cuts down on budget preparation time and creates a more integrated version of the budget. End users now have a clean, structured interface to monitor discretionary spend, while allowing for both high level and detailed review of information. The finance team can utilize a fully integrated reporting interface to monitor company performance and spend, while easily identifying the source of variances. "We have been more than pleased by the product that Neubrain has produced. Throughout the entire implementation, as well as post implementation, Neubrain’s staff has provided the necessary support and guidance to successfully implement our project. We have been left with the knowledge and tools to further build on the BOARD software, while having a partner that we can rely on when needed." ~ Greg Christman, Senior Financial Analyst, C.F. Martin & Co., Inc.